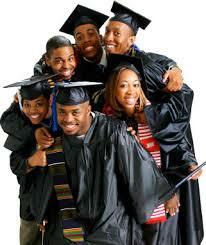 The OP Jindal Global University has announced 50 scholarships for Africans to study at its campus from August. The scholarships range from 50-100 percent tuition waiver, based on merit, a university statement said. The university said the Jindal-Africa Scholarship Programme was part of its commitment towards fostering global cooperation and development, with a special focus on Africa. Vice Chancellor C Raaj Kumar has said that this scholarship programme is intended to build human capital of fellow developing countries through higher education. It aims to build capacities of young Africans by bringing them to the campus in India and training them in key issue areas relevant to the national priorities of their respective countries. The ultimate goal of this programme is to strengthen people-to-people linkages between India and Africa. Already students from Kenya, South Africa, Liberia, Mozambique, Angola, Botswana, Guinea and Zambia are studying in the university.